A new website design and improved search engine placement. Manna would like to welcome Peter (PJ) and the team from DriveMaster of Fairfield, NJ! We’re excited to announce we’ll be redesigning their website and then we’ll be working on promoting it to the major search engines with a comprehensive SEO Marketing Campaign. 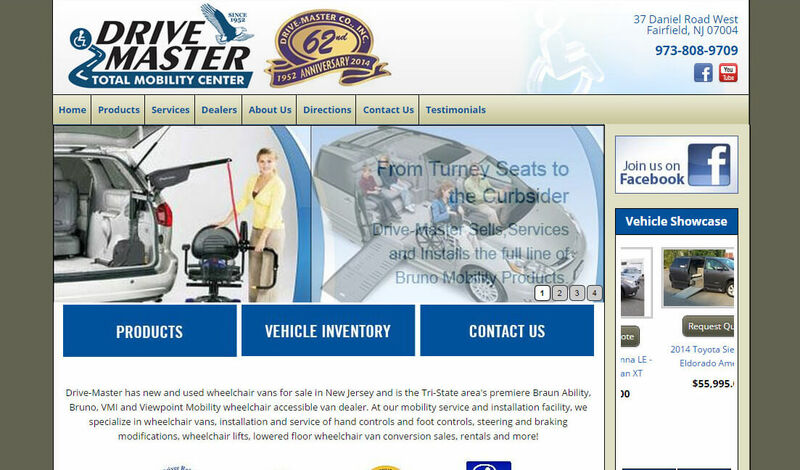 Drive-Master is the oldest family owned and operated adaptive mobility equipment dealer in the United States. Their staff has over 3 generations and 280 years of combined experience and was founded in 1952. The current Drive Master site is not a mobile friendly website design. NJ businesses need responsive designs to stay competitive. Look for the new web site soon!